Some parts of the country live the threat of wild fires near their homes. With high winds of spring time it can be a real danger of embers igniting on your roof top. Roof systems must meet and hopefully exceed the minimum requirements for building codes and insurance purposes. Certified testing laboratories will rate a roof system with Class “A” being the best, Class “B” or Class “C”. When looking for roofing materials, Class “A” fire rating is the highest rating with the best flame retardant materials. A thin roof system may have better fire performance since it has less fuel to feed a fire, although it may be a less durable roof. Heavy tile roofing increases the risk of a cave in when there is an interior fire. Firefighters are trained not to go on a tile roof when there is a fire present. Metal roofs while they will not burn, they are heat inducers and the intense heat can ignite other parts of the house. While thatching is no longer popular as a new building material, it is still used in some European countries. Thatcher’s say it is a misconception that thatching burns fast, they say it burns more like a closed book. Thatching is not as popular, not because of the fire possibility but because it can be quite expensive. New thatched roofs were forbidden in London in the 12th century due to the perceived fire risk. Flammable wooden French Mansard roofs were common on most buildings and contributed to Boston’s great fire in 1872. The great fire of New York in 1835 was said to be caused by a burst gas pipe ignited by a coal stove. The fire got so hot it melted the new copper roofs and the liquid copper ran off the buildings. If you are unsure of the best fire retardant roofing material for your climate, ask your local roofers for advice. Roll roofing is inexpensive and easy to install yourself although it usually needs to be replaced sooner than other roofing materials. It is most suited where cost is more important than appearance and is generally used for garages and storage sheds with gradual pitched roofs. Since roll roofing can crack in cold weather, it should not be applied when the temperature is below 45 degrees. You will need roll roofing, roof felt, roofing nails, roof cement as well as a ladder, broom, knife nail gun or hammer, tape measurer, chalk line and trowel. •	Clean the area you will be installing the new roofing. Unroll the roofing material on the ground and let it flatten. Cut a full width strip long enough to overlap the eves and rakes by about 3/8 inch. Reroll the material and take to roof. •	Spread roofing cement onto the roof felt with a trowel no more than 1/8 inch thick, thicker layers can cause the roof to blister. •	Put the roll roofing in place, walk along the roofing material to seal it in the roofing cement. •	Apply nails every 3 inches along the roof edges. Use hot dipped galvanized roofing nails long enough to penetrate the deck ¾ inches. Drive nails about 1 inch from the edge but stagger them slightly to avoid splitting the wood. •	The next course overlaps the first by 2 inches. Use the chalk line to mark where to put the roof cement then apply with a trowel. Walk along the edges to seal and nail top edges approximately 18 inches apart. •	Lay subsequent courses and nail up to the top of the roof. •	Seal the holes by covering with roofing cement. A roof cement caulk can be applied with a caulking gun. If this sounds like a job you don’t want to tackle. Ask your local roofer if they have plenty of experience with this type of roof and get some estimates. Used mostly on roofs with no to very low slopes, tar and gravel roofs, also called built up roof or hot mopped is made by alternating layers of asphalt, tar paper and adhered with molten asphalt. Then a top layer of gravel is applied, some of which gets embedded in the hot asphalt and some stays loose on the surface of the roof. The layer of gravel to help protect the solvents in the asphalt from evaporating in the sun. The gravel is an excellent fire retardant, but it can clog drains and gutters. If maintained, a tar and gravel roof has the life expectancy of 15 -20 years. Look for cracked and brittle areas as well as large areas of missing gravel when inspecting your roof for signs of damage. Some suggest removing an old tar and gravel roof before laying on a new one. The rough surface of an old roof puts the new roof membrane at risk of being punctured when walked on. If you decide to clean off the loose debris from your damaged roof instead of doing a tear off, you can apply another layer of felt, tar and gravel to be installed directly over an old roof; generally up to 3 roofs can be applied. Tar and gravel roofs are generally the least expensive of the roofing materials for flat roofs. It is a smelly, messy job and not recommended for do it yourselfers. You will want a local roofer with experience in tar and gravel roofs. Soffits and fascia are important elements of a roof system. Proper installation of soffits and fascia improve the appearance of your home as well as help prevent birds and animals from getting into your attic. Well maintained soffits and fascia prevent water from running along the overhang and causing moisture damage. Knowing the purpose of these two areas will help you spot potential problems and be able to describe what you want to your local roofer. Soffits and fascia close off the areas beneath the roof eaves and can be made from vinyl, aluminum, metal or various woods. Keeping these areas properly maintained includes scraping and repainting peeling surfaces and replacing missing or rotten pieces. The flat section on the underside of a roof is a soffit; it closes off the underside of the rafters. Soffit vents, usually small holes allow air to move and prevent moisture issues. Other soffit vents can be simple metal grates attached to the underside of the soffit. Fascia is the vertical finished edge nailed to ends of the rafters or trusses and protects the wooden edge from damage. Fascia vents usually sit on top of the fascia boards beneath the roof felt. If your soffit or fascia shows signs of rot or damage, ask your roofer to correct it immediately to prevent any further damage to the rest of your roofing system. If you are looking to save on your energy bills and considering a white roof, there are two very useful websites to check out. The White Roof Project and the Cool Roofs Rating Council sites can show you how to paint your roof, what types of materials have the best reflective properties and help calculate your savings. 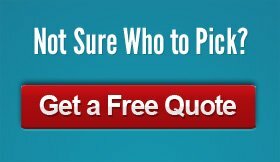 These two sites as well as information from your local roofing company can answer most to all of your questions about white roofs. The website has plenty of information if you want to add a white roof to your own building or want to volunteer or donate to get buildings in the New York City painted white. All the roof painting is done by volunteers. Nonprofits and low income buildings can be submitted for sponsorship that will incur no project cost. Sierra Club also partners with WRP in communities across the nation. In case you were wondering, not all roofing materials are the same, white roof paint is not the same as reflective roof coating. White paint does not have any waterproofing properties and will last only a couple of years. This is where the other site is helpful. As well as checking specific products ratings you can also find rebates and codes. You can get reflective ratings for asphalt shingles, wood shingles, metal, stone, concrete, coatings and more. Traditional clay tile roofs were the standard of a long lasting durable, attractive roof. The heavy tiles outlasted many of the houses they were installed on. Clay roof tiles were used in Babylon and Egypt and then introduced to Rome and across Europe. Clay roofs became very popular after the tragic fires in 1666 in London and 1679 in Boston. Fire codes were established in New York and Boston encouraging the use of Clay roofing tiles due to their fireproof qualities. Clay tiles became popular roofing materials in northern America in the 19th century by industrial production. A clay roof generally lasts 100 years and often several hundred years. Archeologists in Roanoke Island in North Carolina found clay roofing tiles from the 1585 settlement. Terra Cotta or clay roof tiles come in a variety of forms, flat, shaped and Spanish barrel shaped tiles. The tiles were originally made by hand. The tile maker spread the clay over their thighs or logs to make the barrel shaped tiles. The clay was then either laid in sand to be baked by the sun or layered in piles of clay tiles, burning coal or wood and then covered by the earth. In 1858 a kiln was developed that was fired by coal and would allow gradual rising of the temperature of the clay tiles. If you choose to put clay tiles on your home, remember to hire a professional roofer with experience in installing clay roof tiles. While at the Fort Worth Home and Garden show this last weekend, I met a couple of interesting guys from a local roofing company. Keith and Sam from Classic Superoof “Roofs of Steel” were standing at a booth displaying metal roofing panels. The product that caught my attention was the Gerard Stone Coated Metal Roofing Systems “Highly UV-reflective granite stone chips which are sealed to the tough zinc aluminum steel substrate”. Like they described “It is essentially as if truck bed liner is sprayed on the steel with stone chips embedded and cured in an oven”. After talking with them for a while I decided to check them out online to see what energy efficient information is available for their product. The panels are made with over 30% recycled steel and the steel itself is also 100% recyclable. As well as the variety of standard colors, they also have energy efficient colors to help reflect the sun’s rays. Since the product is manufactured locally in Texas and California it reduces fuel consumption and greenhouse gas emissions from transportation. The metal panels are installed over a wooden grid on the deck allowing air flow to pass beneath the roof panels making the cool roof design energy efficient. The Stone Coated Steel system is lightweight enough to be installed directly over existing roofs eliminating the tear off waste that is involved in some jobs. The roofing system is warrantied for 50 years against hail penetration and 120 mph winds and manufacturing defects. Long lasting roofs also eliminate roof waste and keep roofing materials out of our landfills. Keith and Sam told me that they bring a machine to the job site that crimps and cuts the panels to the correct specifications for the project saving time and energy by not having to drive back and forth for correct pieces. Classic Superoofs are located in Hurst Texas. You can get more information about other products and roofing systems they install at www.superoof.com. A study conducted by members of the Lawrence Berkeley National Laboratory (Berkeley Lab) and the Technological University in Singapore produced a report called “Economic Comparison of White, Green, and Black Flat Roofs in the United States”. The report provides an economic comparison of white, black and green or vegetative roofs. The study analyzed roof costs for a 50 year life span. The researchers found that the most inexpensive green roofs cost approximately $7 more per square foot than black roofs, whereas white roofs save $2 per square foot compared to black roofs. White roofs are cheaper to install and maintain and do have more light reflecting properties. Also white roofs can be installed by your local roofer and use traditional roofing materials, whereas green roofs may involve structural analysis, special liners and landscape designers. Green roofs reduce energy costs, help control storm water runoff and create habitats for local insects, birds and small animals. The authors of the report recognized the limitations of the analysis such as how much sunlight is absorbed by the plants , how much energy is saved from the extra insulation from the soil and plants, and how much C02 is converted and released back into the air. Both have their benefits, a green roof is much more appealing to look at than a painted white roof. Rosenfield believes black roofs should be phased out altogether. Good roof fans and vents allow fresh air to cool your living space in the summer and in cold weather proper ventilation helps prevent moisture from condensing in the insulation, rafters, and shingles or on the roof. Ventilation also removes smoke, steam and other indoor pollutants from your home. Your attic will stay cool and dry, lowering your utility bills and prolonging the life of your roof. A roof fan will pull the air out of your attic. One of the most efficient ways of pulling air out of your attic is an attic fan attached to your roof. Cutting the hole in your roof and creating a proper seal can be difficult. You may need to have your local roofer install the fan. If the shingles aren’t laid correctly over the fan flashing, your roof will leak. From on top of your roof, cut the hole directly over your shingles and roof. Carefully pull back the shingles and other roofing materials, slide the fan underneath the shingles and cover the hole. Use flashing to frame the hole around the vent and roofing cement to seal the edges. From inside your attic, run power to the fan and attach the wires to the fan. A thermostat will determine when the fan turns on and off. Attic ventilation systems also come in solar. Solar attic fans are inexpensive to operate and are generally maintenance free. Since no electrical wiring is involved, they may be easier to install.